When it was first invented, the mouse revolutionized the way that we interact with a computer. The fundamentals of the mouse have not changed much over the countless decades of its existence, although the technology sure did. Today, keyboard and mouse controls are widely regarded as the best way to play most games, particularly those that require any sort of aiming i.e. 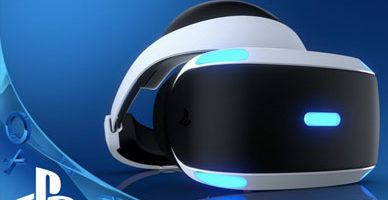 FPS or TPS games, although the precision of mouse controls also makes them indispensable when it comes to interface-heavy games, too. 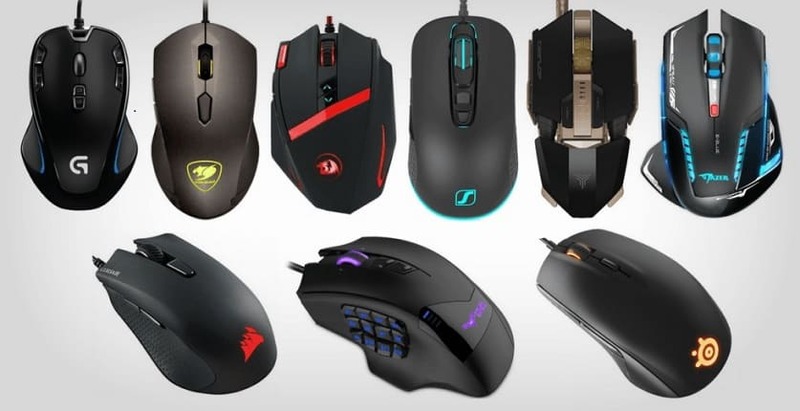 In this article, we will bring you a wide selection of the very best gaming mice of 2019, spanning a wide price range, so everyone will find something to suit their needs here. Redragon is a company best known for their affordable gaming peripherals that don’t sacrifice much in the quality department. As such, it is no wonder that one of their products – the M601 Centrophorus – might just be the best affordable gaming mouse out there, if the price is what you’re worried about the most. While it is a very reliable and functional device in this price range, the manufacturer inevitably had to do some corner cutting, and it is evident mainly from the overall questionable sensor quality. It is not outright bad by any means, but the cheap-feeling plastic and the lack of precision during fast mouse movements will make veterans give this mouse a wide berth. However, if all you’re looking for is a cheap mouse with a couple of programmable buttons, we can wholeheartedly recommend this one. 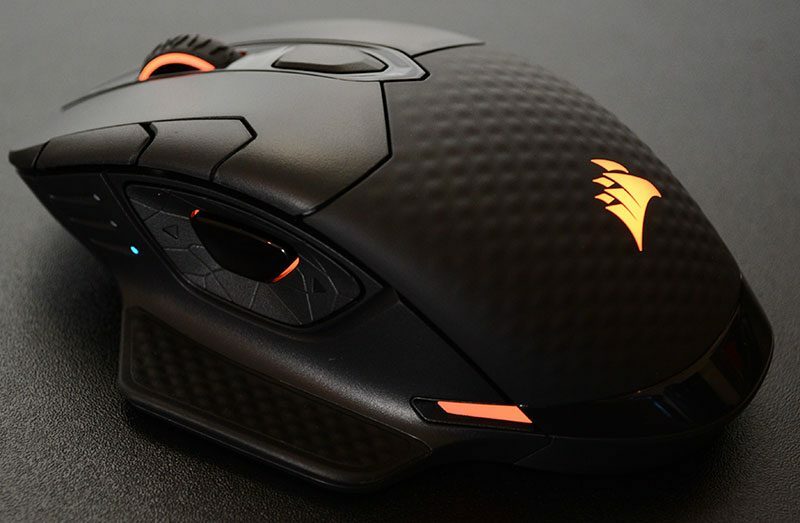 Next up, we have yet another affordable Redragon mouse, only this time it is an RGB-equipped one – the M711 Cobra. This mouse is evidently a step up from the more modestly-priced M601 that we looked at first, as it sports a cleaner design that gives off a definite air of quality, even if we were to set aside the elegant RGB strip that extends across the sides and the back of the mouse. Functionality-wise, there’s a total of 7 programmable buttons and 10000 DPI, which is more than sufficient. All in all, this is a very decent gaming mouse, although the build quality does leave a bit to be desired. It doesn’t exactly feel cheap and there’s nothing wrong with the mouse right out of the gate, but some units have a tendency to break down a tad too easily. Still, the M711 is noticeably more precise than the M601, so it should be the first choice of anyone looking for an affordable gaming mouse for shooting games. Plus, the RGB may not be top-of-the-line, but it is a nice feature to have nonetheless. Following up next, we have another RGB mouse, only this one comes from a more prestigious and more recognizable company in the gaming world – Corsair. 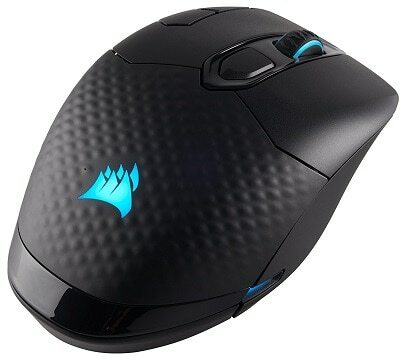 The Corsair Harpoon gaming mouse is similar to the above Redragon M711 in terms of design, in that it combines a clean exterior with RGB lighting. However, the Harpoon adopts a more minimal approach and features a more modest implementation of RGB, as it is confined only to the company logo on the palm rest. Nonetheless, the lighting is of a noticeably higher quality than what you’d be getting with the M711. All in all, the Harpoon is a very well-made no-frills mouse that focuses on precision above any extra features. 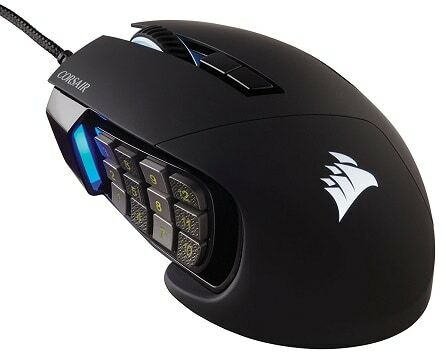 It also comes with Corsair’s own excellent CUE software used to customize the programmable buttons and the RGB lighting. The only big drawback to this mouse is the lack of a braided cable, something that we would have expected to see in a mouse in this price range, especially considering the modest implementation of RGB. In spite of this, the Corsair Harpoon is still a great pick for anyone looking for a relatively affordable and durable no-frills mouse with an excellent optical sensor. As always, it’s impossible to talk about gaming peripherals without mentioning Logitech. 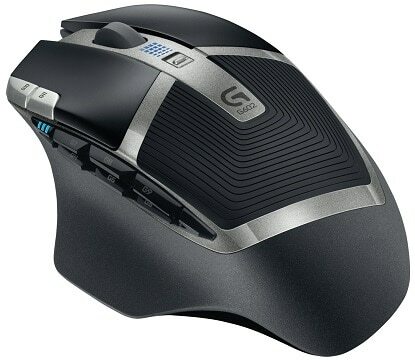 The Logitech G line of gaming products is very popular today, and it includes one fairly affordable gaming mouse called the Logitech G300s. In essence, it is everything you’d expect a Logitech product to be, if you’ve ever used one – quality build, highly functional, and sporting a stylish and sleek exterior. Plus, it comes with a total of 9 programmable buttons, with all the extra ones placed conveniently around the left and right click. And even though it has a distinct black and blue color scheme, it does actually come with customizable lighting in the form of two LED stripes on either side of the mouse. These can display a total of seven different colors, which is a far cry from RGB, but still better than a single-color static LED. G.Skill is a company most widely known for their highly popular RAM products, including the Ripjaws and the RGB-equipped TridentZ. 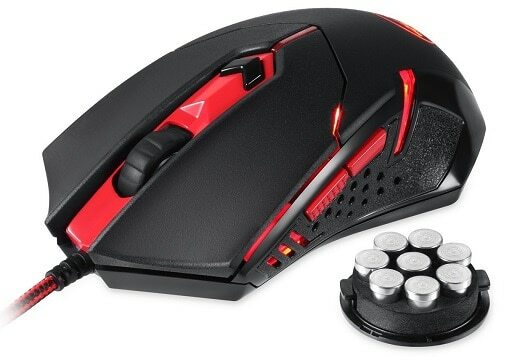 However, G.Skill also makes several gaming peripherals, including a single gaming mouse. 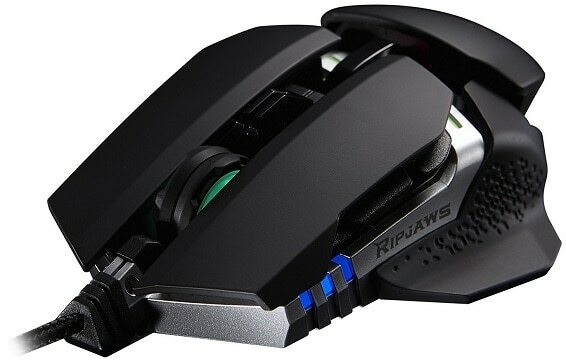 The mouse in question is the Ripjaws MX780, which looks like your stereotypical over-the-top gaming mouse. But this kind of gaudy of over-the-top design is nothing new for G.Skill, and it’s up to the user to decide whether they find such design philosophy appealing. When push comes to shove, the MX780 really can push – it has a highly accurate laser sensor, a robust aluminum frame, and it takes ergonomics to a whole new level. What’s perhaps most notable about this mouse is its modular nature i.e. the ability to swap different types of grips of varying sizes. Combine that with a height adjustable palm rest, and it’s easy to see why this is easily one of the most ergonomic mice out there. Naturally, it also comes with eight programmable buttons and, of course, RGB lighting that is compatible with Gigabyte’s and MSI’s customization software. All things considered, there are no real major flaws to this mouse, although, as said before, the design may just be a bit too much for some people. If that doesn’t turn you off, then the MX780 is probably one of the best laser gaming mice that you can get. 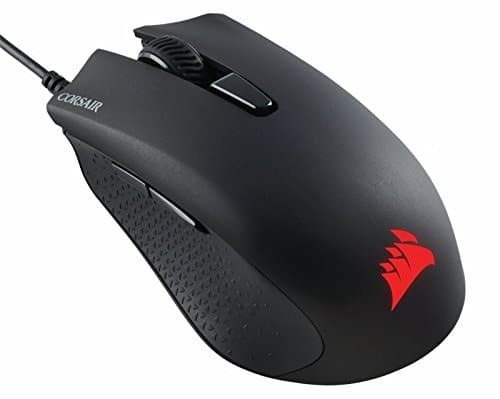 Up next is yet another product from Corsair, only this time, it is a pricier and higher-quality solution than the Corsair Harpoon which was listed a few spots up. The mouse in question is the Corsair M65 Pro RGB, a true top-notch gaming mouse for shooting games. 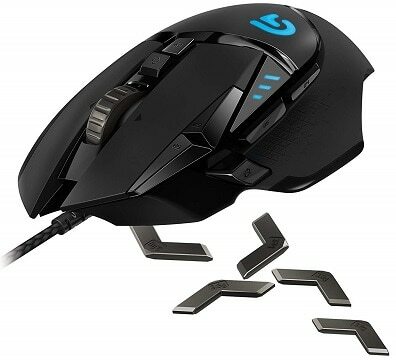 Seeing as its marketed as an FPS gaming mouse on the official product page, it’s fairly obvious who this mouse is aimed at. It comes equipped with a highly accurate 12000 DPI sensor and 8 programmable buttons, although it has no standout features apart from the dedicated ‘sniper’ button for convenient DPI switching. All in all, the mouse is durable and reliable, thanks in no small part to the excellent build quality. 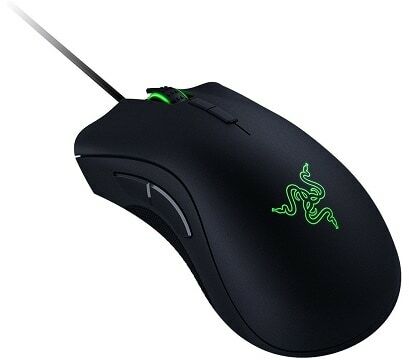 However, the mouse is a bit on the heavy side which, combined with the design of the grips, might make it difficult to lift off the desk during gaming without hitting the sniper button. 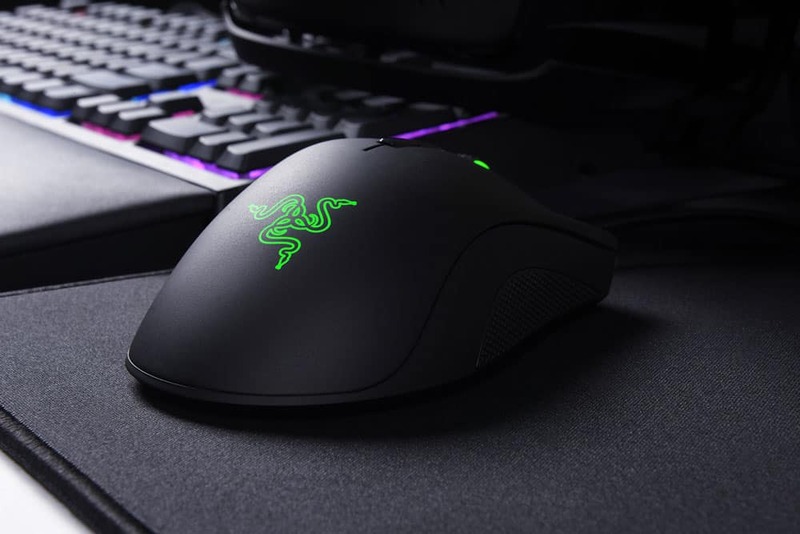 Naturally, at least one Razer entry is pretty much mandatory on any list of gaming peripherals, and so we have the Razer DeathAdder Elite, an improved version of the slightly older DeathAdder Chroma. 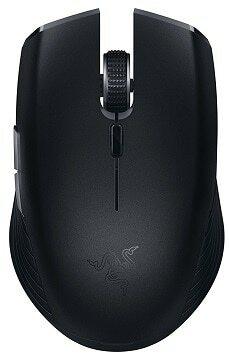 This is a highly popular no-frills mouse that puts build quality and precision above everything else. Coming with a top-notch sensor and 16000 DPI sensitivity, the DeathAdder Elite is one of the best FPS gaming mice that you can get, although it is still a no-frills mouse with no outstanding features apart from the excellent Chroma RGB lighting. On the downside, what will deter most users from this mouse is the very same thing that tends to keep non-enthusiasts away from Razer’s products in general – the price. There’s no denying it, it is quite pricey for a mouse with virtually no extra features, although in most cases, the sheer precision and the quality of the sensor will make up for it. In the end, if you’re looking for a mouse fit for competitive multiplayer and don’t care about programmable buttons or any other extra features, then the DeathAdder Elite will definitely be worth your money. And for the final entry in this category, we have what is widely regarded as one of the best and most versatile gaming mice currently available – the Logitech G502 Proteus Spectrum. In essence, it is an RGB-equipped version of the original G502, and retains all the good (and bad) things about the older model. The mouse comes equipped with an excellent 12000 DPI sensor that rivals that of the DeathAdder Elite, but unlike Razer’s mouse, it also comes with quite a few programmable buttons – 11, to be exact – which makes it quite versatile and allows it to shine in an array of different genres. Add to that the durability and the RGB lighting, and it’s easy to see why the G502 is the top pick of many a gamer. Now, while the Proteus Spectrum was among the most expensive gaming mice at the time of its initial release, the price has dipped since the initial release, so it doesn’t still come with a three-digit price tag attached. Still, it is far from cheap, and it is usually a notch above the DeathAdder Elite in terms of pricing. Other than that, some might find the programmable button placement to be positioned a bit awkwardly, but that is largely dependent on the hand size and an individual’s preferred grip style. The first mouse in the second category comes from Havit – the HV-MS735. It is their take on an affordable MMO/MOBA-oriented mouse, and it is a very affordable and efficient solution. It comes with a 12-button macro thumb panel on the left side, and has 19 programmable buttons in total. But all the macro buttons aside, the mouse is still very viable for FPS and TPS games, as it is quite accurate with its 12000 DPI sensor. Plus, it looks good to boot, as the RGB implementation in the logo and around the scroll wheel complement the matte black and glossy exterior combo quite well. Sadly though, the RGB doesn’t extend to the macro buttons, which only use blue LEDs for illumination. Speaking of macro buttons, they are a bit on the stiff side, so using the mouse may get uncomfortable during long gaming sessions. Other than that, there are no major issues, apart from some long-term durability concerns. 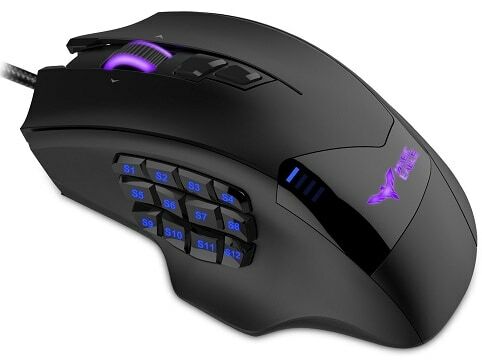 After the Havit HV-MS735, we have a slightly more expensive and immensely more popular MMO gaming mouse – the Venus, made by UtechSmart. It may not look as fancy as the above offering from Havit, but it is definitely more functional. The Venus boasts a 16400 DPI laser sensor, although it is not significantly more accurate than optical sensors in this price range, and it doesn’t work on glass. More importantly, the macro buttons are more comfortable to use, and the lighting customization extends to them as well, unlike with the MS735. On the downside, the Venus doesn’t feel as well-built as the MS735, although there are no significant durability issues in the long-term. In any case, if you prefer function over form and have a few extra bucks to spend, the Venus would undoubtedly be a better choice than the slightly cheaper Havit mouse. Next up is yet another mouse from Corsair, and this time it’s the Scimitar Pro – an excellent high-end mouse for MMO and MOBA players. As is common for this type of mouse, it is a bit bulky and, as is common for pretty much all gaming mice these days, it incorporates RGB lighting into its design. The Scimitar Pro does have a few unique tricks of its own, though. For one, the thumb panel with the 12 macro buttons is adjustable, allowing a greater degree of comfort for different hand sizes. On top of that, the mechanical buttons themselves are tactile, easy to press, and are textured for easier identification. 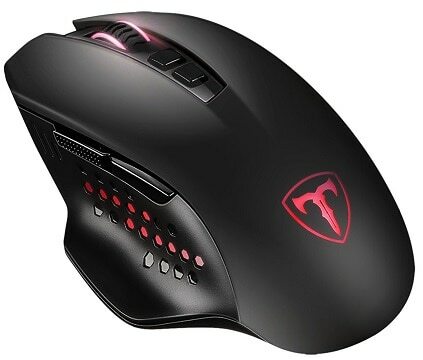 The mouse comes with a highly accurate sensor, too, making it a viable mouse for shooting games as well, although it is probably heavier and bulkier than what most FPS players are used to. But of course, there’s little point in spending extra on this mouse unless you also play MOBAs and/or MMOs, as there are more affordable gaming mice that are just as accurate. Looking for a reliable, top-notch mouse for MOBAs and MMOs? Look no further, the Logitech G600 is here! 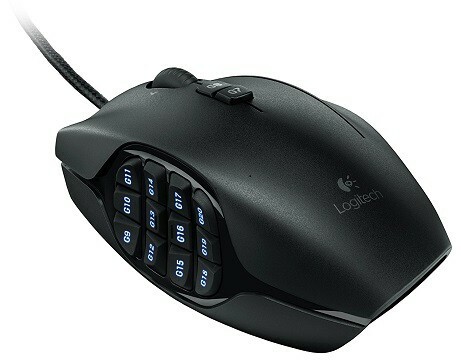 Equipped with a total of 20 programmable buttons (including the 12-button thumb panel), Logitech is similarly priced but takes a somewhat different approach than the above Scimitar Pro. First and foremost, the G600 is better-built, more durable, and has a more ergonomic design, although it also has some extra functionality. Most noticeably, there’s the “G-shift” button next to the right mouse button which allows the player to easily switch between two sets of functions assigned to the programmable buttons, effectively doubling the number of macros you can access. Apart from the fairly high price, the G600 has no inherent flaws, although its weight and bulk do limit its versatility. In general, FPS players prefer lighter and more compact mice, something that the G600 definitely isn’t, although it is a tad lighter than the Scimitar Pro. 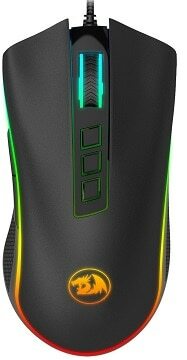 The first mouse in this category is the budget wireless gaming mouse from VicTsing, the X-11. Design-wise, it is quite clean, minimal, and employs some basic red LED lighting. The mouse comes with its own compact and inconspicuous USB dongle and has some quite convenient power saving features that ensuring that the AA battery powering the mouse lasts a long time. Furthermore, it has a 4800 DPI optical sensor that performs quite well in this price range. In the end, this is essentially just a bare-bones wireless mouse that is a good solution if wireless connectivity is your top priority, and you’re working with a limited budget. But of course, if you’re looking for something more accurate or more feature-rich, you will need to invest a little bit more. Next up, we have a far more serious wireless gaming mouse lined up, and it is a highly popular one from Logitech – the Logitech G602. 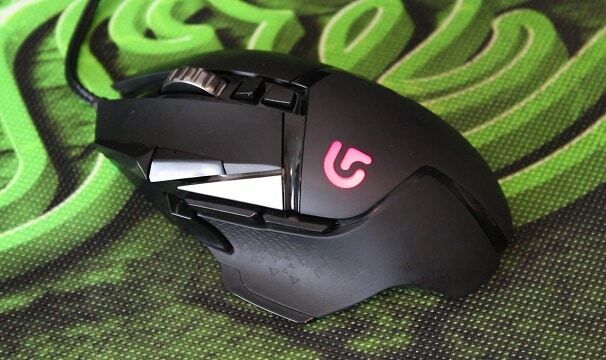 As you can see, the design is fairly similar to the G502 Proteus, and in addition to the design, the G602 also shares the programmable button layout with its wired sibling. However, where the G602 differs, other than the obvious wireless connectivity via an included dongle, is the sensor. Namely, it has a more limited 2500 DPI sensor, although it is still more than sufficiently accurate. On top of that, it has excellent power management and is capable of getting 250 hours of use out of two AA batteries. The only real drawback to the G602 is the same issue that we’ve had with the G502 – the programmable buttons on the side are a bit awkwardly positioned, making them more difficult to reach and press than what you’d get with the G600. As for the price, it actually isn’t as expensive as it used to be since it has been around for a few years, and you can get it at a fraction of the original price. Due to its compact frame and minimalistic design, it is easy to mistake the Razer Atheris for just your regular portable wireless mouse. But make no mistake, it is a gaming mouse through and through, despite the diminutive appearance. Similar to the DeathAdder, the Atheris is a no-frills mouse, meaning that it has no standout features and relies on the highly accurate 7200 DPI optical sensor as its main selling point. But of course, it’s obvious from the size and the clean look that it was meant to be a versatile mouse that would be great both for gaming and as a general-purpose portable wireless mouse. This is a double-edged sword, however, since some gamers (especially those with larger hands) will find the Atheris difficult to use. Furthermore, it is quite pricey for a no-frills mouse of this kind, so that should be kept in mind as well. 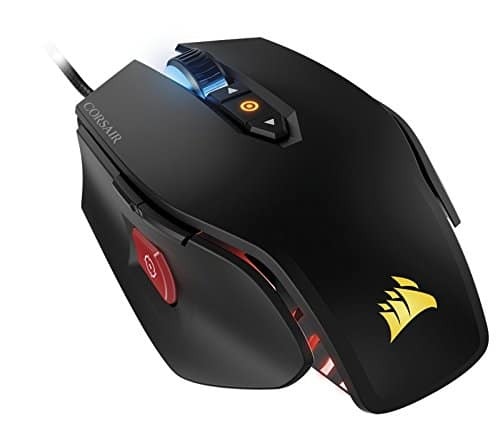 And for the final product in this category (and the final product on this list in general), we have a truly superb wireless gaming mouse from Corsair – the Dark Core. The mouse implements RGB lighting, has a comfortable textured palm rest, and swappable side grips. 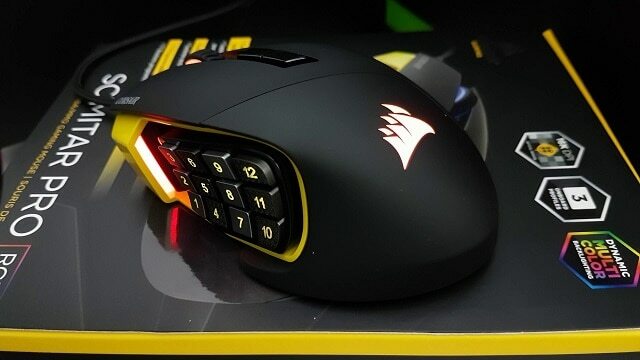 As for what’s under the hood, it has a highly accurate 16000 DPI optical sensor, a convenient sniper button on the side, but apart from the regular model, which charges via USB, Corsair also sells a version that supports the Qi wireless charging standard. 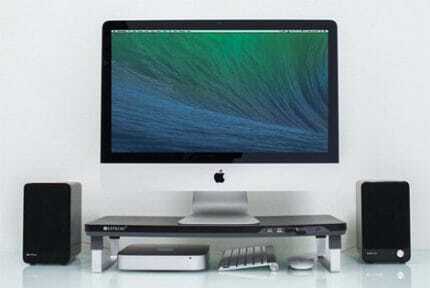 Plus, they also sell a mouse pad/charger that also functions as a USB hub, albeit at a hefty price increase. With all that said, it should be fairly obvious as to what the primary drawback of the Dark Core is – its pricing. Even if we’re talking the basic version with USB charging, it is already quite a pricey mouse. The wireless charging variant is a bit more expensive, but add the charging pad to the mix, and it’s the price of a solid mechanical keyboard. As with any other gaming product, mice incorporate different types of technology and come with multiple important entries in their specification sheets that should be considered, too. Here is everything you need to keep in mind before buying a gaming mouse. A common misconception that will persist well into 2019 is the notion that laser mice are inherently more accurate than optical mice. Of course, this is a misconception grounded in reality, as laser mice were indeed more accurate “back in the day”. But today? Not so much. Essentially, optical mice used to have lower DPI and less refined technology. However, with the ongoing technological advances, optical mice soon had all the precision of laser mice, with none of their inherent drawbacks such as the higher manufacturing costs or the jittering that sometimes occurs during slow movements. Today, laser mice remain a good choice for those who might want to use a mouse on reflective or transparent surfaces, but if we factor that out, an optical mouse will inevitably prove to be a better investment in most cases, as it will be more affordable and offer all the features and precision that you’d need. Another common dilemma that people face when it comes to all kinds of peripherals is the choice between wired and wireless, be it mice, keyboards, or headsets. So, what are the pros and cons of wired and wireless mice? 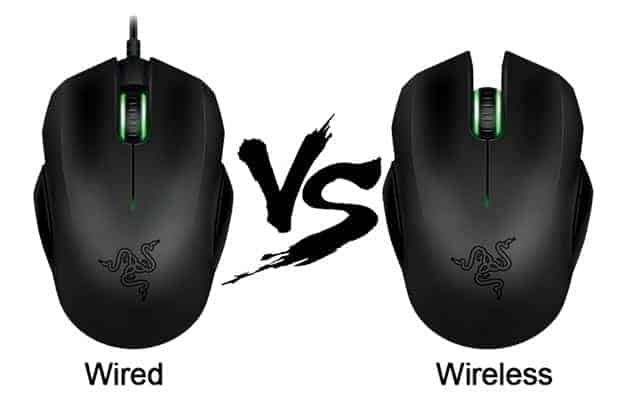 Wired mice remain a gamer’s favorite to this day, primarily because of their negligible input lag and the fact that a wired connection is always more stable than a wireless one. The only downside to wired mice is the cable management. You might simply not like cable clutter (who does?) but the mouse cable getting caught on the edge of your desk can be a real nuisance, but that’s why mouse bungees exist. Wireless mice are definitely more convenient and look better, plus you are free to use them away from your desk and can use them easily on different devices. 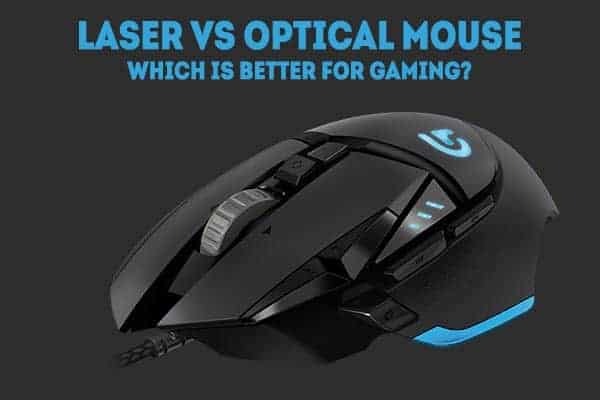 However, potential input lag, higher pricing, and the fact that charging/replacing the batteries might be a bother for some, are all reasons why wireless mice tend to take the back seat when gaming is concerned. So, in short, if you only plan on using the mouse with a single PC at your desk, there is little need to go wireless just yet. Though, of course, if you don’t mind the input lag or just really can’t stand cables and don’t lament the extra cost, wireless mice are equally as valid a choice for gaming as wired ones are. DPI – Does It Matter? DPI, or dots per inch, measures the sensitivity of both optical and laser mice, with dots correlating directly to pixels. DPI tends to differ wildly in modern mice, with some lower-priced ones easily having a DPI twice that of a premium gaming mouse. In truth, it all depends on the screen resolution. For example, if you’re gaming on a 1080p monitor, a DPI of 2000 will allow you to move the cursor all the way across the screen by moving the mouse only one inch. Of course, higher-resolution monitors, monitors with a greater pixel density, and setups that utilize multiple monitors, all necessitate a higher DPI for an optimal experience. Keep in mind that overly inflated DPI counts (such as the ones commonly seen in cheaper mice) are in no way indicative of the sensor quality and are simply a marketing gimmick most of the time. Today, programmable buttons have pretty much become the norm for all gaming mice, regardless of their pricing. So, what are programmable buttons for? Well, anything really! With the help of the bundled software that the manufacturer provides, you can assign whatever function you wish to a button, or you can bind a more complex command to it that would normally include multiple keystrokes i.e. a macro. Therefore, programmable buttons can be used to put any sort of command or a series of commands right at your fingertips, something that can truly streamline your experience and save valuable seconds that can mean life or death in a fast-paced multiplayer match. 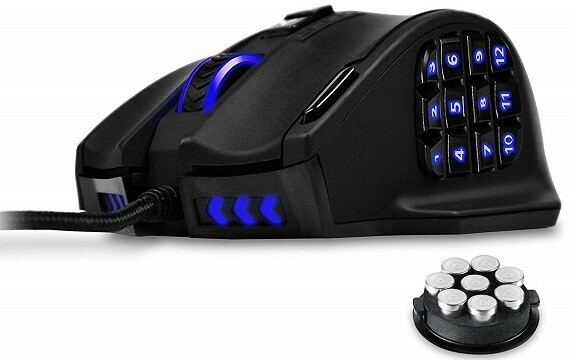 However, mice replete with programmable buttons are the most useful for those who primarily play MMO, MOBA, and strategy games. And finally, let’s pick out the winners, shall we? There’s no denying that the Corsair Harpoon is simply a great deal. For what it lacks in customizability and versatility, it more than makes up for with its high-quality build and an even higher-quality optical sensor. Needless to say, if you’re looking for the best budget gaming mouse, we’d suggest the Harpoon above anything else if we’re talking the best value for your money. The Logitech G502 has been around for quite some time, especially if we consider its first iteration, the Proteus Core. Seeing as the Spectrum is merely an RGB-equipped version of the Core, it is no wonder that it is as popular as its predecessor. As mentioned before, the G502 boasts an extremely accurate sensor, RGB lighting, a solid and reliable build, as well as some extra programmable buttons that greatly contribute to the mouse’s versatility. If you’re looking for the very best gaming mouse and don’t lament the cost, the G502 is definitely the way to go. 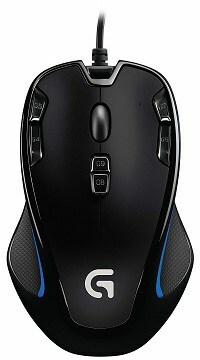 Admittedly, Corsair’s Scimitar Pro and Logitech’s G600 are highly similar and present equally good value, although we find the Scimitar Pro preferable due to the increased adjustability and ergonomics that make it more versatile as a gaming mouse, as opposed to the “pure” MMO/MOBA mouse that is the G600. 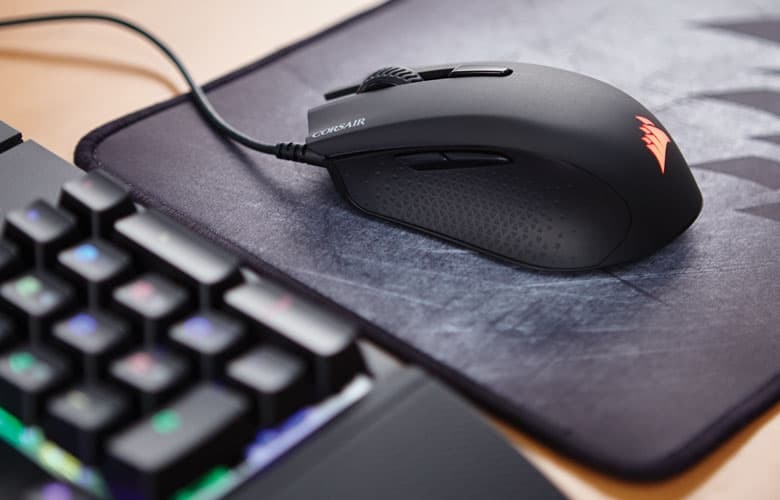 The Dark Core seems to have it all – it’s well-built, equipped with a great sensor, boasts some extra programmable buttons, and implements some new and innovative technologies never seen in wireless gaming mice before. The biggest drawback is, of course, the price. However, as with the Proteus Spectrum, if you want the best and are willing to pay for it, then there’s Corsair’s Dark Core would be the right choice.